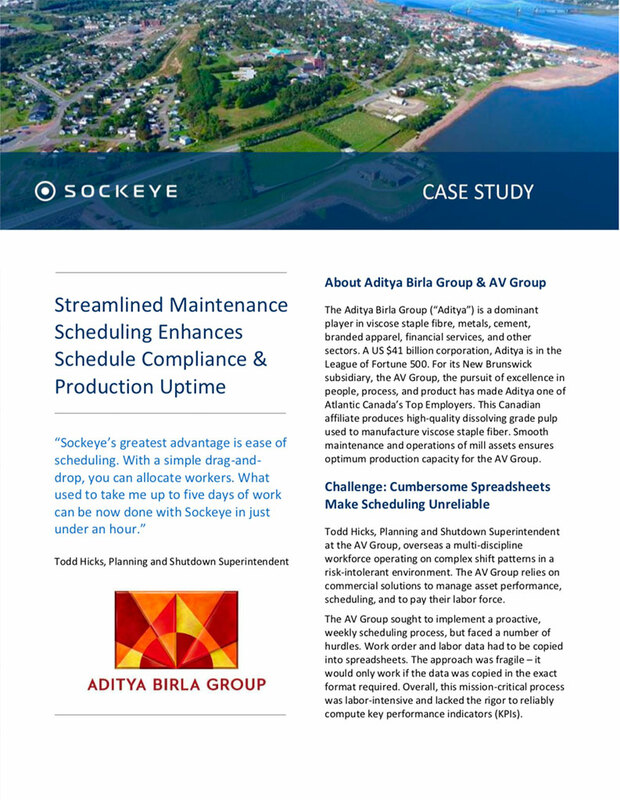 Fortune 1000 enterprises rely on Sockeye for effective maintenance scheduling to support optimal reliability and operational excellence across their plants. 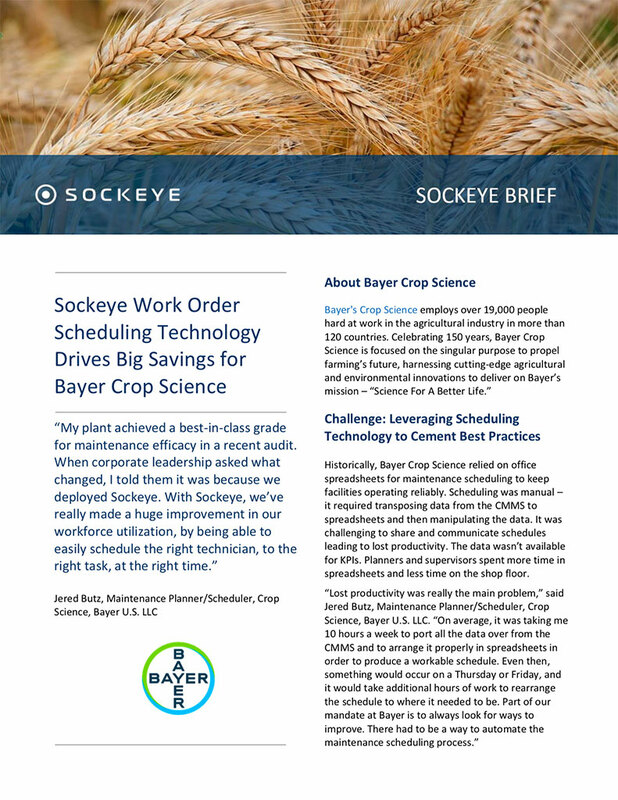 "Sockeye’s greatest advantage is ease of scheduling. With a simple drag-and-drop, you can allocate workers. What used to take me up to five days of work can be now done in just under an hour." 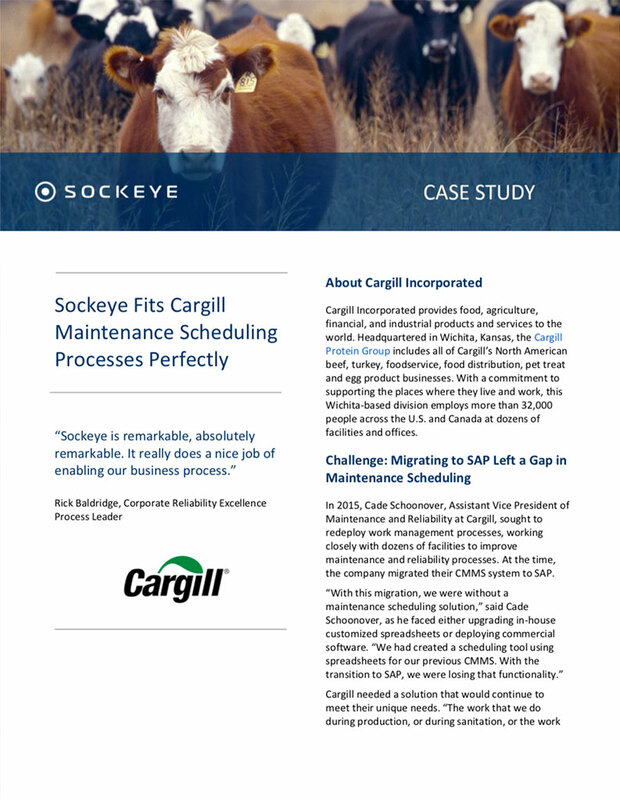 "Right out of the box, Sockeye was a great match for our business process. We knew it was a perfect fit. If we could give a vendor of the year award, we’d give it to Sockeye!" "Sockeye is in every animal protein facility. In some of our larger facilities we’re generating 1,000 work orders a week. Sockeye really does a nice job of enabling our business process. It's really good." "My plant achieved a best-in-class grade for maintenance efficacy in a recent audit. 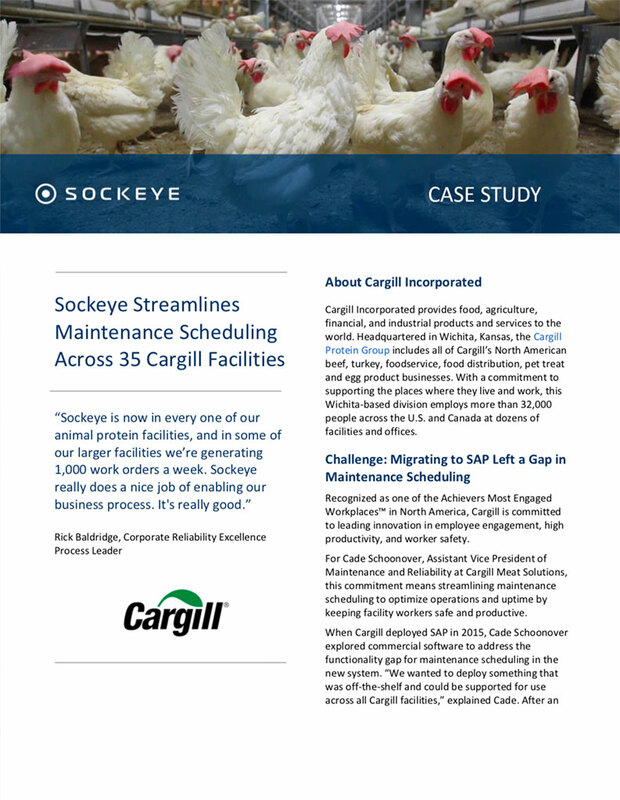 With Sockeye, we’ve really made a huge improvement in our workforce utilization. Sockeye KPIs have been really helpful."